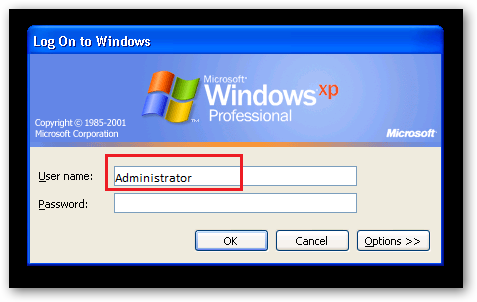 How to enter Windows XP computer without entering the Password in the log on screen. | Kanishk's Technical Blog. 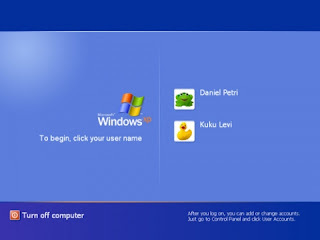 How to enter Windows XP computer without entering the Password in the log on screen. Note from the Blog Owner:I am not responsible for whatever you do with this trick.This is only for Educational Purposes. Here is a trick from which you can access any friends computer physically without entering there password on the log on screen. This works only on WINDOW XP Operating Systems. 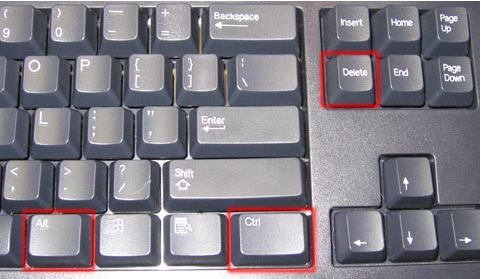 Now Just Type the following Keys---> Alt+Ctrl Button and Two times Delete Button. 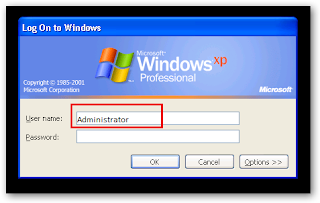 Type the Username as Administrator and leave the Password field Blank and hit ENTER. After you do this,the computer will Open and you can access your Friend's Computer. Password in the log on screen? I'll be posting this topic next time @Anurag,Keep following my blog for that. @Saurabh Patel Here we are trying to Hack the Admin password dude.Leave the Space Blank and the computer will be in your hand...Even if he has set an Admin pass. if someone has set the password for the administrator account, i don't think this thing gonna work.